From everyone here at Grand Niagara GC we would like to wish you and your family a Merry Christmas and a happy new year! Have a wonderful, healthy and safe holiday season. We look forward to hosting you once again in 2014! Holiday Special!! 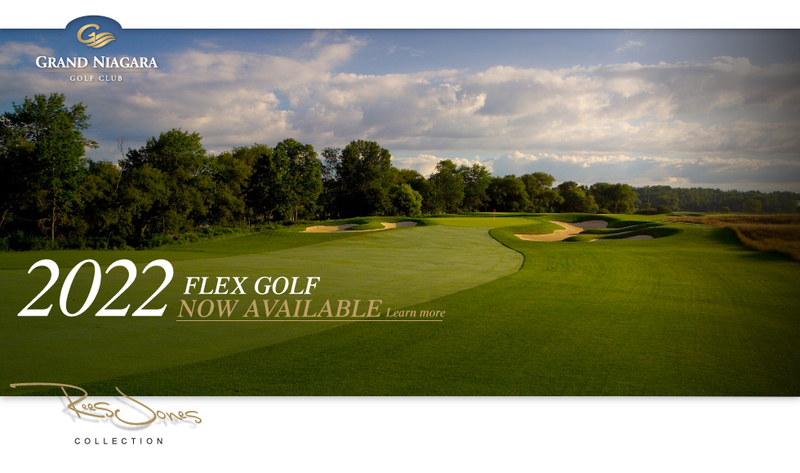 Receive 10% off all 2014 Memberships and Frequent Player Packages purchased before December 24, 2013. 2013 has been a successful year at Grand Niagara GC. We were ranked 45th in Canada, 14th in Ontario and 1st in the Niagara Region on ScoreGolf’s “Top 59 Canadian Public Courses” list. We introduced our new Membership Programs, finished our 2 year bunker overhaul and swapped the 9’s back to the original Rees Jones course design. 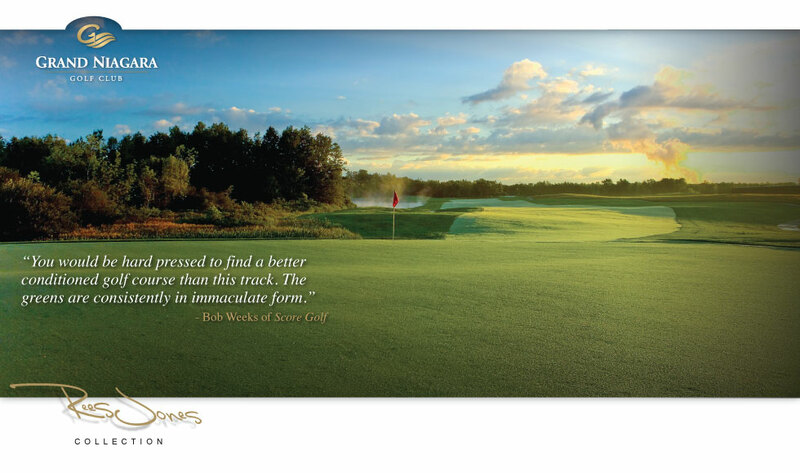 Grand Niagara GC will continue to strive to improve both the quality of the course as well as the overall customer experience. A new clubhouse to increase your entire golfing experience with us is in the works! Stay tuned in 2014 for more information! Also, due to huge requests we will be reintroducing our resident’s rate in 2014! The winter is upon us all, but do not let this affect your golf game! I recommend doing three things this winter so your game will be ready for the spring. Stretching - Find a good open space in your basement this winter. Bring with you a couple of clubs. Swing the clubs together stretching your arms, shoulders and core muscles. Shoulder turn and hip rotation tend to stiffen up for golfers over the winter. Swinging the clubs together (or a weighted club) will loosen the hips and allow for a great shoulder turn. Many golfers forget to stretch the legs before playing, this is a mistake. So, this winter do some basic leg stretches so your entire body is loose and relaxed! Maintain touch/feel - Throughout the winter, grab your putter out of your bag and leave it out of your bag! Where ever you watch TV that has carpet is the perfect space for keeping and improving your putting stroke and touch. Grab a hand full of balls and putt while the TV is on, have some fun and before you know it you will be getting pretty good with your distance control and aim! Hit balls - Every now and again, go to the dome! Get in some full swing practice and target practice. Hit some fades, draws, high balls, low ones and make sure to hit a couple worm-burners at the guy in the cart! This will keep your swing sharp, as well as your mind and body sharp remembering and hitting all the different types of shots.